The recent Pop-up Tennis Session was a great success with all 3 courts being used. 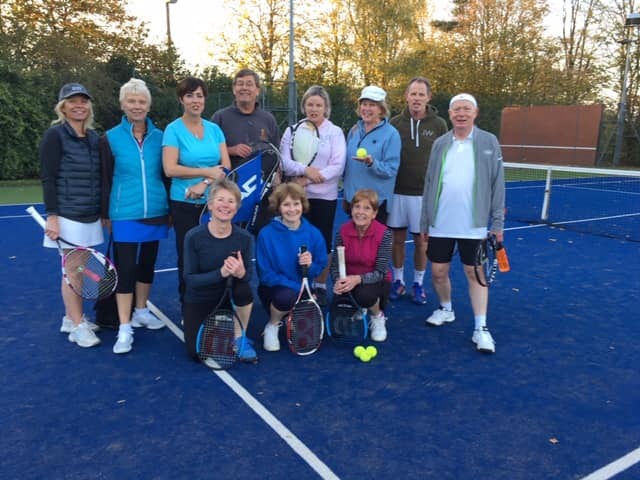 Thanks to the 12 members who came down to the Club and played mix-in tennis for 2 hours. The weather was especially kind to us and everyone enjoyed the afternoon. A big thank you Wendy for the delicious cake to restore our energy levels after our work-out on the courts. For those of you who weren't able to join us, our November Pop-up is going to be hosted by Wendy on Tuesday 13th November at 2pm. Whatever your level of tennis, you will all be welcome to join us. Please let us know if you are coming by texting Wendy on 07929 613536, so we can make sure there will be enough cake for you.